There was some good news for the PC industry yesterday; despite a global slowdown in the number of computers sold, hardware sales are improving - for Nvidia, at least. The GPU maker reported that it had beaten fourth quarter earnings targets and posted record revenue for both Q4 and 2016. Nvidia’s revenue from its core graphics card business for the three months up to January 31 was $810 million, a jump of 25.4 percent from the same period a year earlier. The company puts this down to consumers buying new GPUs to power some of the blockbuster games released during this holiday quarter, including Star Wars: Battlefront and Call of Duty: Black Ops III. 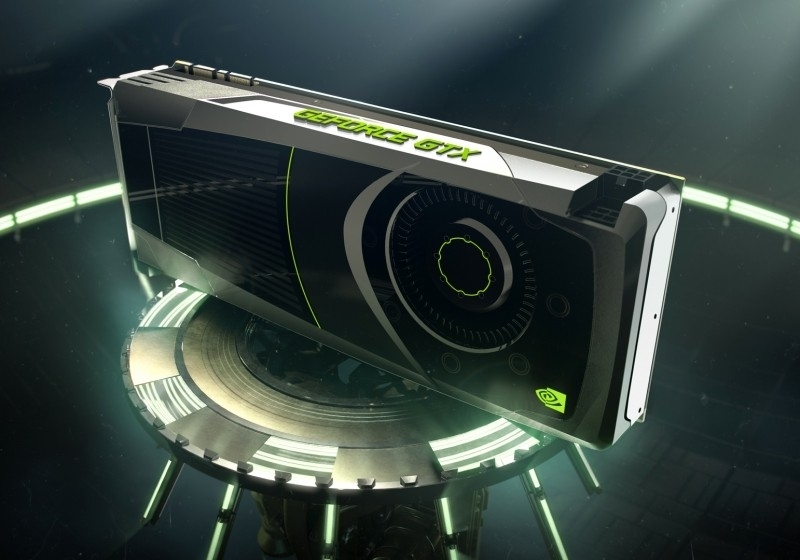 "GeForce sales are driven by the launch of great gaming titles and that again proved true this past holiday season," Chief Financial Officer Colette Kress said on a conference call with investors and press. While revenue for the entire year was up 7 percent to $5.01 billion, the company’s net income was down 3 percent from $631 billion to $614 billion. Operating expenses rose 12 percent to just over $2 billion. Nvidia is continuing to expand its business into other areas outside of gaming; the company is “especially excited” about its deep learning strategy. "Deep learning is a new computing model that teaches computers to find patterns and make predictions, extracting powerful insights from massive quantities of data. We are working with thousands of companies that are applying the power of deep learning in fields ranging from life sciences and financial services to the Internet of Things," said CEO Jen-Hsun Huang. Nvidia’s share price rose almost 10 percent in after-hours trading following the report, and is currently up 25 percent over the last 12 months. With continued growth in the PC gaming, VR, deep learning and self-driving vehicle markets, the future is looking bright for Nvidia. Here's the full breakdown from the report. Can you show us some Pascal Yet? madboyv1 and H3llion like this. [...] $631 billion to $614 billion. That should be in millions, not billions. Also, throughout the article the single form for quantifiers is used (ie: million) instead of the plural one (ie: millions). Not a huge deal, but just wanted to point it out. madboyv1, H3llion, Burty117 and 1 other person like this. Well I did say milking DX11 comes with BIG advantages, I cant wait to see AMD's financial info "Grabs popcorn"
They've already shown plenty, I want a more concrete release date besides "second half of 2016". Will between June And December satisfy you then? madboyv1, robb213 and DJMIKE25 like this. Smiling all the way to the bank...again. I love these guys. If you are waiting for the financials for the same quarter and 2015 fiscal year numbers, they were released last month. AMD's guidance for the current quarter is a revenue decrease of 14% (+/- 3%) compared with Q4 2015. Um... AMD already did it's quarterly report. It was bad, as expected. Everyone and their mother was recommending you buy a GTX 970. The problem is, because of that, now you can get a R9 390x at the same price. Twice the vRAM and much more RAW power. The GTX 970 will only ever be good at 1080p gaming and only if you plan on overclocking. People who upgraded to the 970 will need another upgrade if they plan on going above 1080p. I don't think the GTX 970 played a huge part in the current financial reporting*. Judging by the numbers and the CC, the upsurge came from deep learning (which is almost entirely CUDA based at present), automotive (up $93 million on the last quarter), and professional graphics. Quadro pulled in $203 million in revenue, while Tesla and GRID had a 10% increase over the previous quarter - probably due to Nvidia picking up an increasing number of cloud computing partners (Nvidia just announced Alibaba picking up GRID, as Microsoft, Amazon, Nimbix etc have already done) which ties into the deep learning boom since training neural nets are being done on rented GPU time from these providers. *As far as I'm aware the YoY increase for GeForce branded cards is 21%, and given that Nvidia's gross margin has also jumped to 56.5% I wouldn't mind betting that a large part of sales were spread among GTX 960, 980, 980 Ti, mobile discrete, as well as the 970. The demand for AIB custom 980 Ti's seemed strong over the holiday period. Price cutting of both the AMD Fury cards and the 980 Ti seems to have favoured the latter in revenue. My comment was about the GTX 970 specifically but it's undeniable that the Halo effect applies to all of Nvidia's cards. When one OEM has the best cards on the market all their other products enjoy a boost in revenue. Most certainly (although technically/hairsplitting Foxconn and AIB's would be the OEM/ODM. Nvidia is an IHV). The biggest disparity at present is the mobile sector. AMD's Carrizo is proving to underwhelming and like a lot of Kaveri designs isn't being paired with discrete cards. What mobile discrete cards they do have are generally overpriced for the performance, where mobile Maxwell is running amok. AMD desperately need something more mobile-friendly than Tonga to shift the current momentum. Here's hoping the Polaris GPU fits the bill and AMD take the bull by the horns. The same is true for the 390x. Kind of a moot point. If your buying a 290x or 970 to go past 1080p you haven't done your research. Dont want to sound like a fanboy, but I would rather deal with AMD than Nvidia any day, Still, we have an interesting year ahead, hopefully Polaris will be a complete range like promised, rather than top only. Pascal sounds to me like a "paper launch" if there ever was one. Thankfully I've never had to deal with either one, so that is a positive note for both. And on that note, I'm not sure why that would be consideration for shying away from either one. I mean with all the third party vendors, you wouldn't be dealing with either of them directly. It would be the third party vendor, if not the market place where the item was purchased. I personally don't care if anyone sees me as a fanboy. I switched from AMD to nVidia because of a compute project, I was donating my PC resources to at the time. I've since stopped donating, started gaming more, and choose to remain with nVidia because they are "the green team". As far as drivers or support, my needs are not so petty that I've had issues with them. Power efficiency means more to me and is the only thing I have against AMD. I am in the IT retail business, and we used to be a Nvidia partner, then the Laptop Graphics issue with Nvidia began, burning out boards from both our laptop partners at the time, Asus and HP, it was a horrible time to be in the business. We were also having loads of issues with drivers, so we switched to AMD, and haven't looked back. I accept your efficiency comments as true, though the Fury range has made an improvement on this, through the first use of HBM memory, something Nvidia is planning to do on its Pascal paper launch. Talking of compute power, during the Bitcoin mining era, I only had customers asking for R9 290, and 290X and not NV parts. Not having an knowledge of how that stuff worked, I guess it must of worked differently. SirChocula and cliffordcooley like this. Mine was before the Bitcoin era. It was Folding@Home, which was mainly Cuda at the time for GPU power. Yeah, AMD simply doesn't have enough resources to compete with Nvidia in mobile right now. Polaris really needs to hit a home run to bring AMD back so that can at least compete in all market segments. 1440p is great on the 390x / 290x so I don't know what your talking about. What proof do you have that the 390x / 290x isn't a good 1440p card? I accept your efficiency comments as true, though the Fury range has made an improvement on this, through the first use of HBM memory, something Nvidia is planning to do on its Pascal paper launch. Three times more powerful than the current computer at CCRT, [COBALT] will be installed in the CEA’s Very Large Computing Centre in Bruyères-le-Châtel, France, mid-2016 to cover expanding industrial needs..[ ] It will have 2304 Intel Xeon E5 processors (Broadwell) with a total of 32,256 cores at 2.4 Ghz and 18 hybrid nodes with Nvidia Pascal processors, for remote computing and visualisation. AMD's Tahiti (HD 7970) Paper launched December 21st, 2011. Actual launch January 9, 2012. AMD's R9 290/290X were announced a full month before what amounted to a soft launch, while the Fury lineup were all effectively paper launched at E3 - the last of which (Gemini, the Fury X2) was due in time for last Christmas (since eased out to Q2 of this year). It is fairly common practice to showcase upcoming products prior to a hard launch, but to decry a products launch status before it has even been seen, let alone any discussion from the company smacks of shilling for that companies competition. And how that golden chalice turned into a broken porta-potty. Bitcoin takes off, AMD hurriedly increase wafer starts to cash in on the craze. Inventory balloons. GPU Bitcoin mining's bubble bursts as dedicated ASIC's make GPUs obsolete. AMD's huge inventory means a halt to any plans the company had of introducing Tonga on a wide scale as unsold R9 280's (still very plentiful in the retail channel a year after it was EOL'd due to the R9 285's launch) and R9 280X/HD 7970GE's clog up the retail channel and becoming increasing hard to move as Nvidia's Maxwell sales turn AMD's market share into a trickle - leading to massive price cutting - which cannibalized AMD's own sales to a much larger extent than enticing people away from the GeForce brand. Yep! Good old Bitcoin! Single-handedly destroying AMD's financials for a solid 2-3 financial quarters. What promised a financial cash cow ended up as a millstone around the companies collective necks. Lol, he's probably spewing things out of thin air. I have a 290x on 1440p and am running all my games on max with 60+ fps. Uhm both games are nearly dead. There are several games now that you can't max at 1440p with a 290X and get 60FPS.